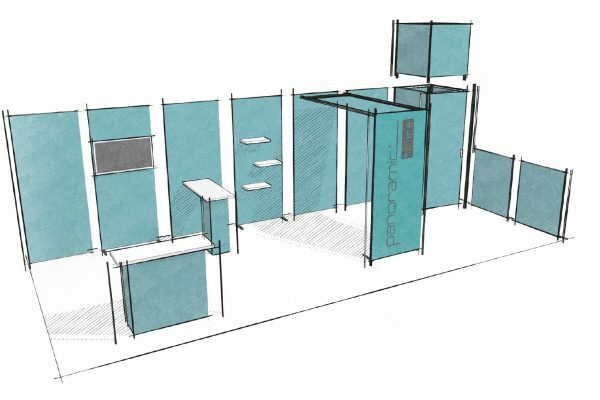 Custom and modular exhibition booths, plus accessories. 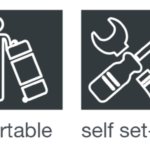 Standard and custom configurations for all floor layouts. Packaging in wheeled bags or transport crates. Set them up yourself or with professional assistance. 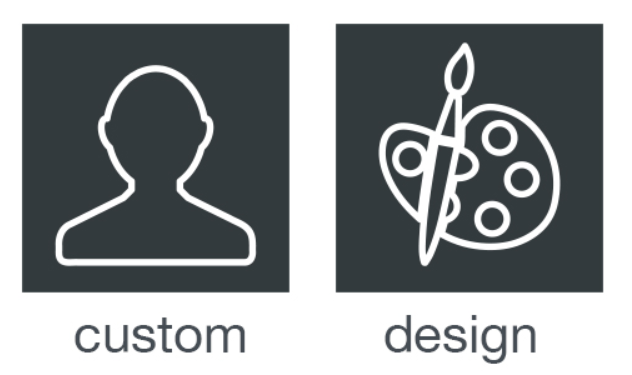 DISCOVER OUR TIPS ON HOW TO CHOOSE A BOOTH TO MEET YOUR NEEDS! 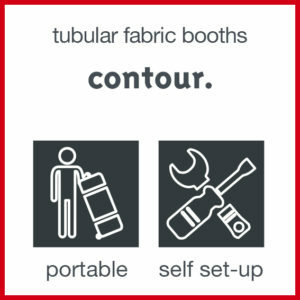 Tubular portable booths, modular and scalable, ideal for surfaces from 8’x10′ to 20’x30′. To be assembled by yourself or by professionals. 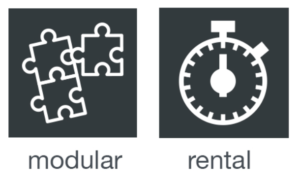 Modular solution, reconfigurable without any limit. Modular booths, ideal for surfaces of 10’x10’, 10’x20’, 10’x30’ and 20’x20’. Packaged in a transport crate with wheels, with pre-mounted visuals on the frames. 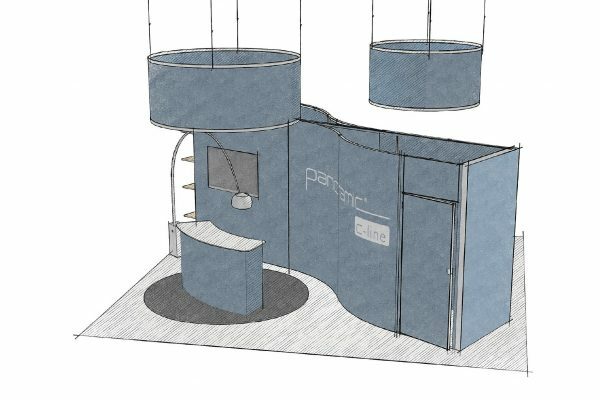 Design solution, ideal for custom booths. Creative solution, ideal for custom booths, no compromise on the design. To be assembled by professionals. 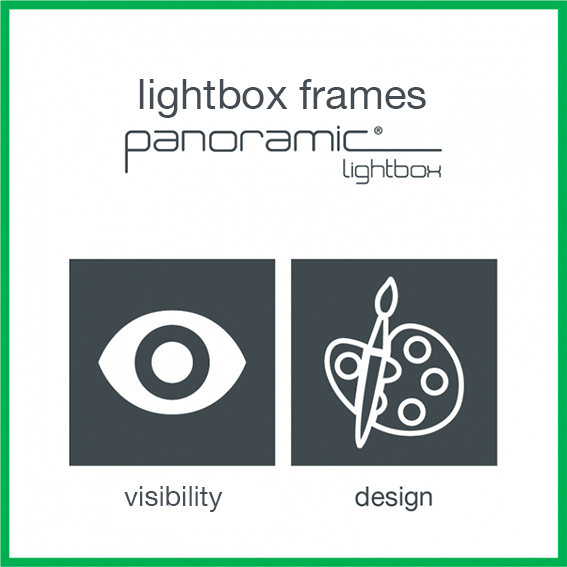 Lightboxes with LED lights built into the profiles. Enhance the visibility of your messages and increase the impact of your communication. Several possible applications: booths, decorations, layouts, events, stores, etc. 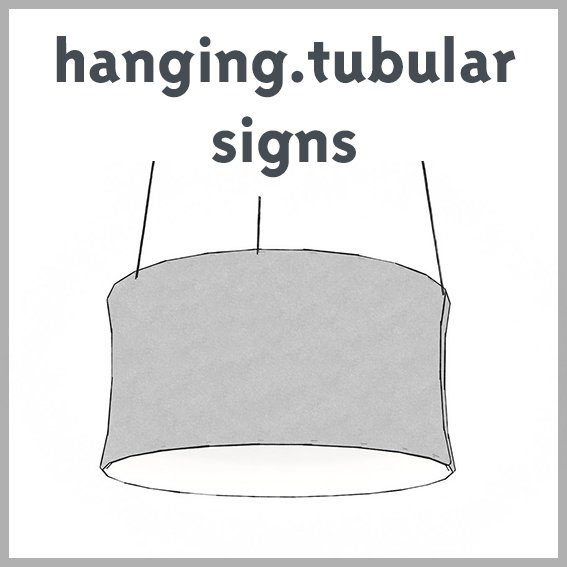 Be visible from far away and indicate your location at a trade show or event. Available in tubular solutions with a sock-like graphic that slips over the frame. 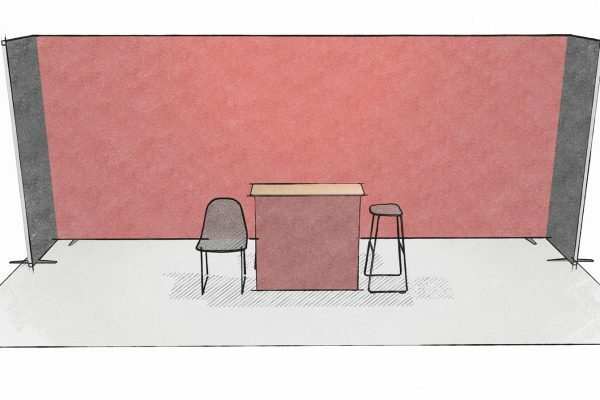 Pick your ideal shape based on the design of your booth: square, rectangular or circular. 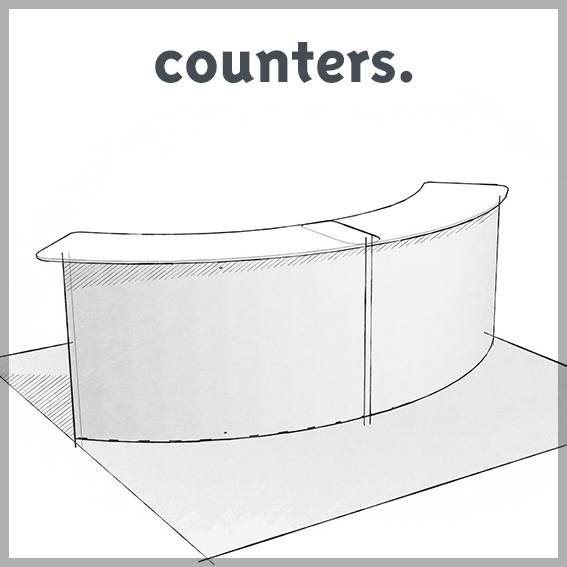 Curved or straight reception counters, with or without doors, and with or without lighting. 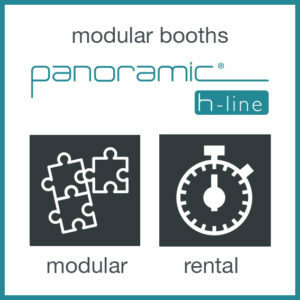 panoramic h-line counters: for accessorizing a panoramic h-line booth, available for purchase or rental. 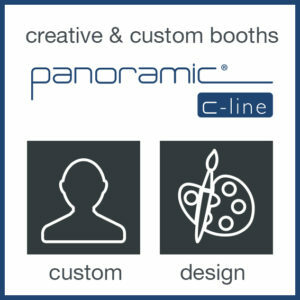 panoramic c-line counters: for custom designs, available for purchase only. 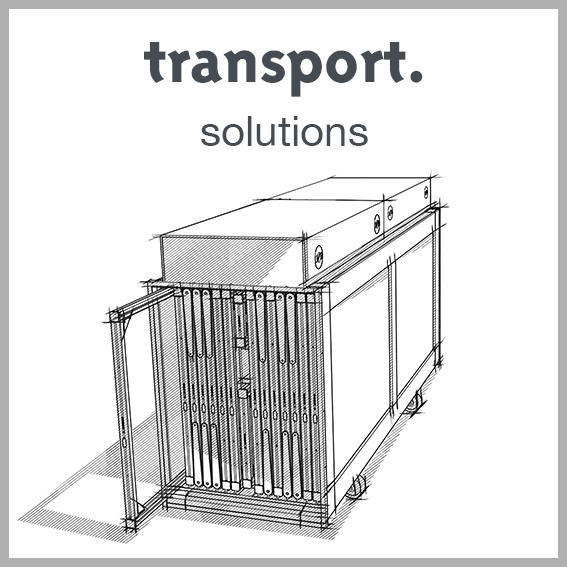 Transport solutions to store and transport your booth safely and securely. There is a customized transport solution for every booth!